The Garmin Zumo 396 LMT-S motorcycle navigator is built for life on the open road. Built with a color 4.3” sunlight viewable, glove friendly display that is resistant to fuel vapors, UV rays, and harsh weather this a great addition to your handlebars for your next adventure and will handle anything mother-nature throws your way. 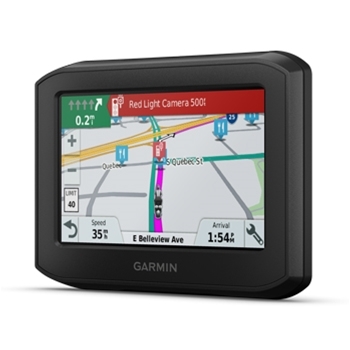 If you’re always on the go or taking long trips away from home and you need to update your GPS, Garmin has you covered. Built-in Wi-Fi allows you to wirelessly connect to an available Wi-Fi network and update your software and maps when a computer isn’t available. What’s easier than that? Traveling the same routes to destinations can get boring over time. 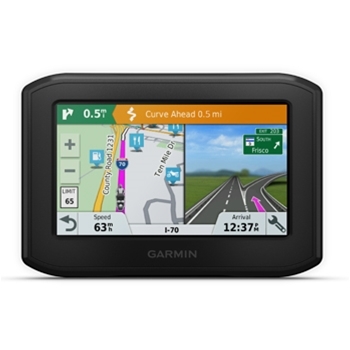 What’s better than being able to tell you’re GPS which way you want to go? With Garmin Adventurous Routing selections, you tell your Garmin which roads you want to take and you’re on your way. Select from cliff clenching turns, to hilly areas, to highways making your next trip one to remember. If you think the route you take is something to be shared with fellow riders, simply download the SmartPhone Link app to your compatible smartphone and send GPX files to other riders so they can experience the same breathtaking route you took. If you like the route you traveled to your destination, simply use the TracBack feature to use the same route to get back to your starting point! The SmartPhone Link app is also a great tool for when you enable LiveTrack. This neat feature will share your whereabouts in real time with other riders so they can join in on the fun. An added convenience in your Zumo 396 LMT-S is Bluetooth functionality. 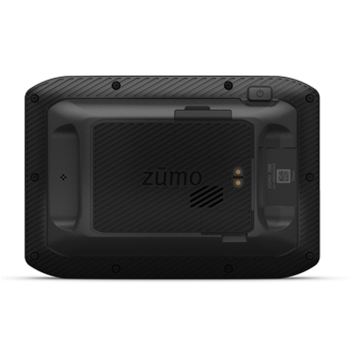 A simple wireless connection between your Zumo and a compatible SmartPhone, Bluetooth headset, or helmet will now allow you to make and answer phone calls even when your phone is stowed away in your saddlebag or pocket. Customize smart notification alerts for texts, app alerts, and calls so you keep up with what’s important to you while on the go. Have some favorite tunes you like to cruise to? No problem. Access and control playlists and music through your Zumo display and you’re ready to rock and roll through your travels. Staying safe on the road is key. Garmin offers Rider Alerts to enhance your situational awareness and encourage riders to travel with a sense of ease. Be alerted of upcoming speed changes, railroad crossings, sharp curves and more. Helmet laws are becoming stricter than ever and because of this, your Zumo will take the liberty of alerting you to check state helmet laws along the way. When setting up your Zumo, you will have the option to set a predetermined contact that will be notified by text with your location if an incident occurs. Some added key features of your 396LMT-S Zumo are dynamic fuel stop alerts so you know when it’s time to refuel, speed limit indicators to alert you when it’s time to gear down, a digital compass display, and a full database of motorcycle specific points of interest. Take on your next adventure with the Zumo 396LMT-S and ride with ease.